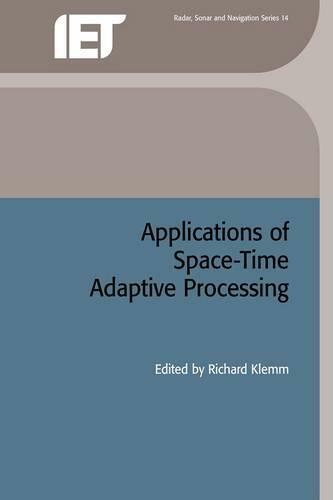 This new book from Richard Klemm, author of the highly successful Principles of Space-time Adaptive Processing (IEE,2002), examines the various applications of space-time adaptive processing including applications in OTH-radar, ground target tracking, STAP in real world clutter environments, jammer cancellation, superresolution, active sonar, seismics and communications. Including contributions from distinguished international authors, the book provides a unique overview of the field of space-time procesing. The book is divided in two parts; the first dealing with the classical adaptive suppression of airbourne and space based radar clutter and the second comprising of miscellaneous applications in other fields such as communications, underwater sound and seismics. The book will be of interest to those working in the field of sensor signal processing and in particular postgraduate students, research scientists, system engineers, university teachers and research project managers.